Can Health Insurers See Your Genetic Test Results? Genetic testing continues to transform the healthcare landscape today. According to the Department of Health and Human Services, genetic testing is available for over 2000 rare and common conditions. From DIY home kits to consultations with professionals, you can easily access genetic results to inform health decisions. However, individuals have voiced their concerns about testing costs without coverage from their health insurance provider. Test results falling into the wrong hands is a valid concern for some. 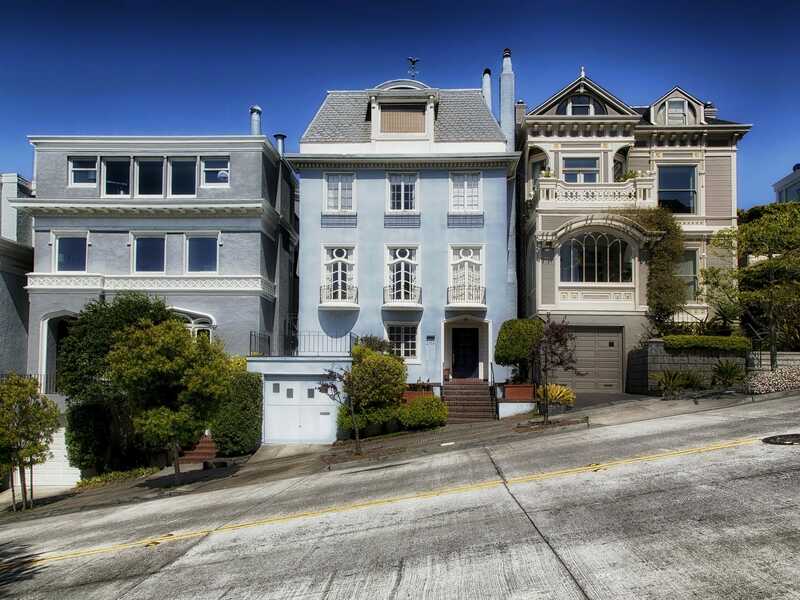 Understanding the role of your insurance company, and the legal guidelines they have to follow can help reassure you if you’re discouraged about your DNA. Genetic testing uses samples from your blood, hair, skin, or other tissues to determine all types of characteristics about you. In healthcare, this means screening for any abnormalities that indicate possible illnesses. These tests can also screen for your risk of developing a condition in the future. There are different types of genetic tests for many situations. The results can yield helpful findings, such as identifying prenatal diseases or discovering drug interactions. In a medical setting, your primary care doctor can order a genetic test. You can also see a geneticist. Geneticists study the inheritance of traits and often provide genetic counseling. They can interpret your test results and make recommendations accordingly. Testing your genes can help you understand your risk for certain diseases that may run in your family. However, gene tests won’t be able to provide a timeline for symptoms or predict the severity of an illness. Most health professionals understand that genetic information is a new and sensitive topic. Using the information from your tests is up to you – not your health insurance provider. You may choose to disclose their genetic information your doctor in order to get ahead of any illnesses. Legal protections that we discuss below mean you’re free to talk to your healthcare provider about test results. Does Health Insurance Cover Gene Tests? A genetic test can cost you anywhere between $100 to $2000. Some people choose to pay for a genetic test on their own without financial help from their health insurance company. Others want their health insurance company to cover a portion of testing costs. If your doctor recommends genetic testing, your health plan will likely cover this expense. However, tests have to be “medically necessary” – this means results of genetic testing will prevent, diagnose, or treat an inheritable disease to a medical profession’s knowledge. Most companies require prior authorization for certain genetic and molecular testing in order to determine coverage costs. You should talk to your provider to learn about out-of-pocket costs prior to getting tested. Your share of testing expenses is based on your plan. Co-insurance, copayments, and deductibles may all apply when you choose to learn about your genetic information. However, by using in-network labs for genetic tests, you can reduce your out-of-pocket expenses. Your health insurance company can only ask you for genetic information to decide whether to pay for tests or follow-up treatments. While they’ll look for specific information, they aren’t allowed to request anything unnecessary regarding your genetic results. 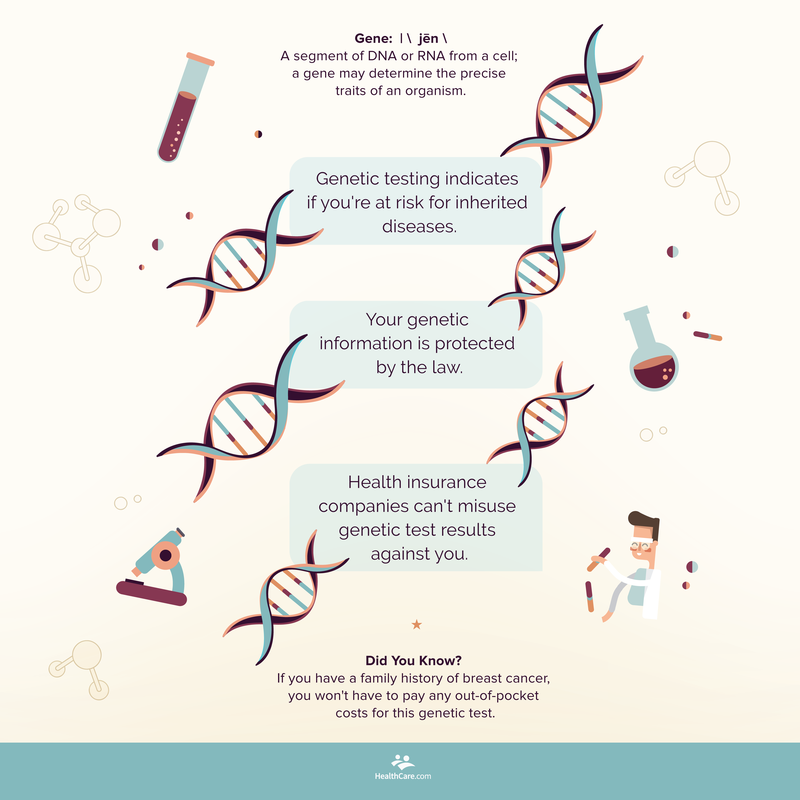 Will Your Genetic Test Results Affect Your Health Insurance? The 2008 Genetic Information Nondiscrimination Act (GINA) prevents your health insurance provider or employer from mistreatment based on your genetic results. This federal law shields your genetic information from health insurance providers. According to GINA, health insurers cannot “request, require, or purchase genetic information with respect to any individual” to determine eligibility or costs for premiums. Insurance companies also can’t ask you to take a genetic test, or label your findings as a pre-existing condition. GINA protections extend to most health insurance plans. From your individual plan to Medicare supplemental policies, you won’t have to worry about results affecting the price of your plan. Even if you test positive for certain disease indicators, your health insurance company cannot use these results discriminately. GINA protections are meant to prevent unfair biases until you’re diagnosed with a disease. Health insurers cannot use information from your family members’ health history either. In 2010, the Affordable Care Act (or Obamacare) established 10 essential health benefits, including preventive care. The only genetic test that is fully covered by the ACA screens for breast cancer. Women with family history of breast cancer will pay no out-of-pocket costs for this genetic test. Tests to indicate increased risks for illnesses, such as Huntington’s disease, autism, and sickle cell disease, do not fall under preventive care. GINA will keep your test results private from your health insurer. It does not apply to conditions that are diagnosed by a doctor. However, the ACA prevents health insurance companies from denying or charging higher premiums for individuals with pre-existing conditions. With this seamless transition, you still won’t have to worry about test results affecting your health plan. As a newer technology to the medical field, genetic testing is changing healthcare. Its ability to predict risk levels for many diseases has helped many Americans make advanced decisions about their well-being. With GINA legislation in place, you can have protection from changes to your health plan if you undergo genetic testing. Julia is a Content Marketing Intern at HealthCare.com. A rising junior at Princeton University, she is interested in communicating topics of health through digital platforms. How Do Health Insurance Companies Know if You Smoke?